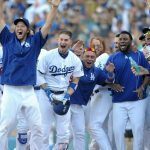 The World Series odds in Las Vegas think the Los Angeles Dodgers are almost a sure thing to reach the Fall Classic, and the Houston Astros aren’t fall behind. 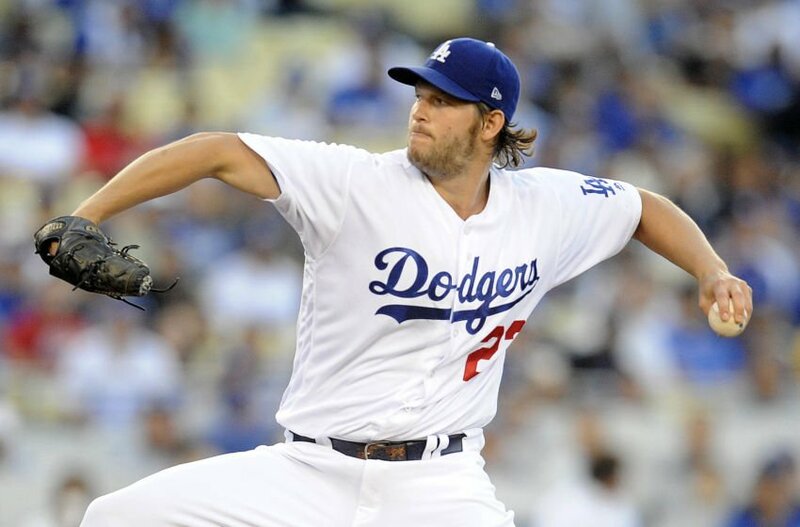 The championship might not be for another three and a half months, but at the midway point of the MLB regular season, oddsmakers and bettors believe the series picture is coming into focus. 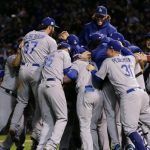 The Westgate SuperBook has the Dodgers at 3-1 to win the World Series for the first time since 1988. The Astros are next at 9-2. With essentially the same record (Dodgers 61-29, Astros 60-29), the favorites hold the best records in baseball at the All-Star break. But with more than 70 games remaining, the Dodgers vs. the Astros is certainly not a foregone conclusion. 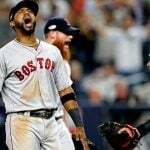 The Westgate feels the best lurkers with a shot at the Commissioner’s Trophy are the Boston Red Sox (5-1) and Washington Nationals (6-1). 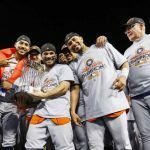 Last year’s World Series contenders follow, with the Cleveland Indians at 7-1 and the defending champion Chicago Cubs at 12-1. Longshots include the Arizona Diamondbacks at 18-1, and New York Yankees and Kansas City Royals at 20-1. The MLB All-Star Game is tonight at Marlins Park in Miami, Florida. First pitch is scheduled for 8 pm local time. The moneyline is basically even. Online sportsbook Bovada has the American League a slight underdog at -105 to the National League at -115. However, the American League has won the last four all-star games. The first half of the MLB season has once again shaken up the preseason World Series odds. Prior to the first pitch being thrown in early April, the Cubs opened as the heavy favorite to defend their title, which was the franchise’s first championship since 1908. The SuperBook had them at 7-2 on March 31. Fast-forward to July, and the team has been lengthened to 12-1 after a disappointing first half that saw them go 43-45. The Indians have also dropped, although not as much. They were at 5-1, and after going 47-40 to date, they’re still a strong contender in Las Vegas. The biggest disappointment has been the San Francisco Giants, which Westgate had at 12-1 on April 1. But now with the second worst record in baseball, World Series odds on the Giants aren’t even being offered at most Nevada sportsbooks. The biggest surprise has been the Arizona Diamondbacks. They opened at 100-1 at the SuperBook in March. Today, their title odds have shrunk to just 18-1. As for the game’s most valuable player, it appears to be Yankees outfielder Aaron Judge’s to lose in the AL. Judge is hitting .329 on 30 homeruns and 66 runs batted in. Online sportsbooks have him around -150 to win the regular season award. He’s followed by two Astros, Jose Altuve and Carlos Correa, both longshots at +750. In the National League, the race also appears to be a runaway at the break. Nationals outfielder Bryce Harper, batting .325 with 20 homers and 65 RBIs, is at even money. Arizona’s Paul Goldschmidt trails at +500.